Following on from our 10 Cool Spy Gadgets feature, here’s another cool gadget for all the James Bond types out there the Hollow Spy Coin. 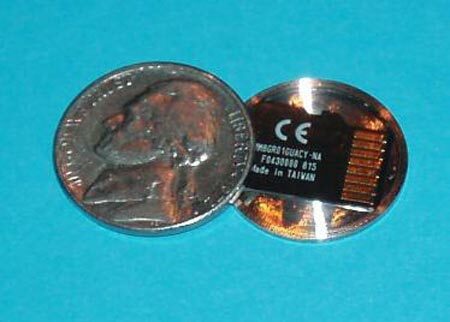 The Hollow Spy coin is made from a Nickel, and you can store a microSD card in it with all your secret agent data on. It is indistinguishable from a real coin, so you should be able to keep all your precious data safe. The Hollow Spy Coin is available for $30 from Spy Coins.